When it comes to social media marketing, Instagram is still one of the best platforms to grow an audience and increase sales in your business. One of the hardest parts, however, is trying to figure out where your audience is and see what they care about. That’s where your analytics can come into play. Most people think analytics mean just their follower count or how many likes their pictures get, but there are deeper analytics than you might know. Not only can you use these analytics to grow your Instagram, but you can also use these data points to improve your overall marketing plan. Today, we’ll show you where to find your analytics, how you can use them, and why it matters for your marketing. As of now, you can only access Instagram analytics when you have a business account. These kinds of analytics are not available to personal accounts, at least yet. Within Instagram, you’re able to switch your account from a personal to a business account and back, which would give you access to all of this data when you have the business account. However, once you switch it back to a personal account you lose all those analytics. As you can imagine, this is a goldmine of data for any marketer. When you know the demographics of who is interested in your business, you can use this information across all of your marketing to make your business better. This kind of data is especially perfect for ad targeting on almost any platform. While those are the overall account analytics, you’re also able to see how each individual post performed. When you’re looking at an individual post when you’re logged into your business account, you should see the “View Insights” button in the bottom left corner so you can find this data. This data gives you the ability to see why posts do better than others No longer is it a mystery why some posts outperform your usual stats. From inside this area, you’re able to see engagement, comments, likes, saves, impressions, how people found the post, and reach. 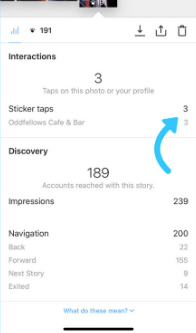 These stats will show you the number of views, impressions, actions taken, reach, swipe ups (only available at 10,000 followers) which people viewed your story and more. If you keep track of these data points, you’re able to see when people are staying engaged with your story and when they’re not. That way, you know if your content is engaging and you can track what works when you try new ideas. When you do the hard work of gathering all this data together, you’ll be able to create a complete marketing demographic to better target your audience and see faster results. You’ll also be able to test new ideas and measure what works and what doesn’t. 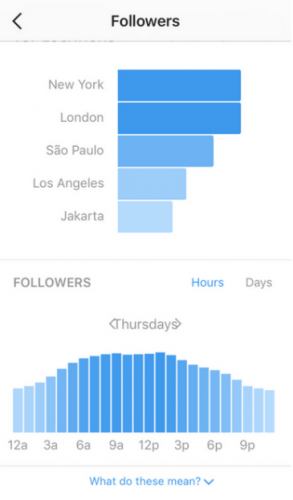 If you’re looking for deeper analytics or want to grow your following even faster, InstaGrowing has come up as an option.